I bought this item after I ran out of the one I previously used. This was the first time I tried it. I apply smoothly; however, it is really hard to come off since it is waterproof. Great product for the price. This is a favorite Mascara! It's very popular in my area, so it's extremely hard to find them (they fly off the shelves!). This mascara is seriously amazing. It gives me full, long lashes that aren't crunchy or spidery. After using this mascara, my lashes look exactly how I want them to look: dark, long, and lush... but still like they could be my natural lashes. However, this mascara loses points in my book because it doesn't hold a curl. I'm constantly on the hunt for a regular (non-waterproof) mascara that keeps my hard-to-curl lashes reaching towards the sky. This mascara didn't do this. If you have hard-to-curl lashes, I suggest choosing the waterproof version, or skipping this mascara altogether. However, if you're blessed with lifted lashes naturally, this mascara might be for you. One of the best parts about this mascara is that it's extremely easy to remove. It will come off effortlessly with any makeup remover or your everyday cleanser. The bottom line: This mascara will make your lashes dark, full, and long; it will not give you fake, spidery lashes. It's also easy to remove, however, it doesn't hold a curl well. This mascara really isn't worth all the hassle with removing it. 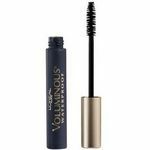 This mascara is very versatile which is definitely something that might interest you. The thing that I like about it is that if I want my eyelashes to be bigger or thicker, I just apply a few more coats and then it works very well for me. It says it's washable, but when I run water over my lashes, it starts to get into my eyes and it really burns. This just seems really cheap and there are much better products out there. Maybelline Full 'N Soft Washable Mascara didn't really work too well for me. This mascara is perfect just for simple definition of your lashes, especially if you already have long and/or abundant lashes. The selling point of this particular mascara from maybelline is that it will always remain soft even once dry. You have to use make-up remover to get it off because it's waterproof. So laugh til you cry with this on and your lashes will remain beautiful. Performance It works well for what it is intended for. I used to use this mascara religiously, until I realized I was missing out on mascaras that could give me that super thick, false lash look. However, I think this mascara is the best for sensitive eyes, and also for people who like a natural look. I used to be a contact lens wearer, and now I am a post-LASIK patient. I found no irritation from this mascara. 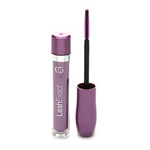 The formula is smooth, not goopy, and it applies light amounts of mascara to the lashes. The brush is fat, so it's going to thicken rather than lengthen. The light formula makes for a soft effect, and if you touch your lashes after, they don't feel crunchy, which defeats the purpose of having pretty lashes to flutter. While I don't reach for this mascara as much anymore because I want a different look, I really think this mascara excels in providing a natural look. This is also great for girls just starting out in makeup because it's not so dramatic. This is my favorite mascara. I have been using it regularly off and on for many years. I try others but always end up coming back to Full and Soft. This product is inexpensive and works better than more expensive ones that I have tried that are out there on the market. I am wearing it right now and I can run my fingers back and forth over my eyelashes and they feel soft to the touch and they flow easily. Performance It makes my lashes long and full. It spreads my lashes out nicely-they never clump together. My eyelashes are never dry or hard. It never streaks. I could step out into a rainstorm for a moment and not have to worry about mascara lines coming from my eyes. My eyelashes feel soft and healthy. It lasts long and I have never had to reapply during the day. Ease of Application I have never had a problem applying it. The applicator and the bottle are well made. I find less stray eyelashes in the bottle than other mascaras because the brush is quality and the product leaves your eyelashes soft instead of brittle. . This is by far my must have favorite beauty tool. This mascara is very affordable and does a better job in separating your eye lashes and giving me volume and length than any high priced mascara. It separates each eyelash with its soft bristle brush and makes your eyelashes look like glue on eyelashes. The best part about it is it comes in waterproof or non waterproof and they both give results! Performance Great performance in every way! Ease of Application Easy application. I don't use this product often but it's works. I don't use this product every day. But I use it on night outs. It kinda sweats off a little bit, but not completely. It gives major volume. It's not water proof. It's doesn't clump. It's brush provides volume but isn't great for lower lashes. Performance This mascara is fair. It's gives volume. Not too good on length. Not too good on lasting long. It does help grow lashes. 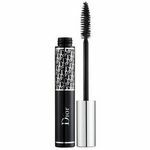 I use it on night outs for dramatic lashes because it provides volume. Ease of Application I feel like the brush provides alot of volume. But the brush is not great for lower lashes. It just makes a huge smugdy mess.